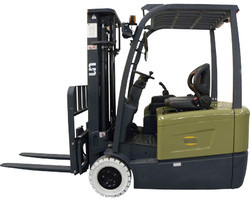 Providing you the best range of 3 wheel electric forklift truck, double deep reach truck, stand on reach truck, pallet handling equipment, electric forklift truck and electric powered pallet truck with effective & timely delivery. 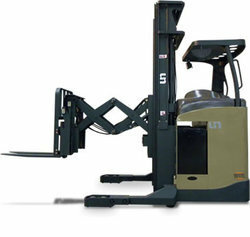 Compact and ergonomic design,high-performance components,these features make UN’s 3-wheel electric forklift become a reliable and cost-saving machine to your material handling solution.The adjustable steering column and adjustable comfort seat offer individual adjustments for all operators.Reasonable layout of the brake pedal,accelerator pedal and control levers offer a comfortable space for operator.World-class PMP gear box and dual driving motors and separated hydraulic motor make sure the electric power turn into the useful power to the full. The Energy Regeneration Function extend extra 15% working hours. The Double Deep Reach Truck is UN’s another breakthrough innovation to your warehouse.The maximal Fork Carriage Reach Distance can reach 920mm,which provide the best solution to your double-rack system.With support the advanced technology and high quality components,UN’s double deep reach truck provide the best operation experience and highest working efficiency. Ergonomic design and high performance supported by innovative technology help UN reach trucks become the perfect solution for various application. 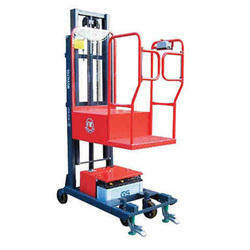 Whether use in operating in pallet, drive-through or drive-in racking. 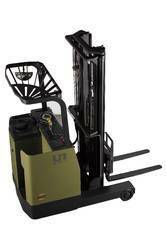 Whether for narrow areas or low clearances.UN reach truck will always be your good assistant in stacking. High texture paint the entire vehicle. 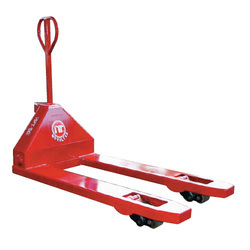 The use of one piece fork, durable without bending, the tough ductile iron wheel frame, axis of rotation at a self-lubricating effect, high-quality PU wheel fork, so that the body starting resistance is small, light and quiet to walk, injury floor, double wheel design is more suitable for high load and uneven pavement. Hydraulic system features a unique circuit and structure, so that hydraulic pump even more robust, and durable. While the fixed seal design, can be completely closed to prevent leakage and to achieve the effect, coupled with specific buffer design, the user can freely control the degree of decline. Safe operation of a simple lever eliminating the trouble of training, this manual has a rose design, positioning, decreased function device. 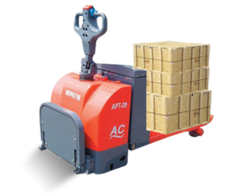 Noveltek's pallet trucks are ensured to take a market place with their efforts. In addition, their products quality level can meet eec-89/392 regulation with "CE" mark on it. Their products could save your plants or customers' working time and shorten man hours significantly and lift up the productivity. You with "Noveltek" can manage time before time manages you. They offer a wide variety of new machinery and also offer you the very good profitable prices and shortest time of delivery. If you have any other requirements or questions, please do not hesitate to contact us. Noveltek appreciates all of your support and look forward to your continued support in the future. An order picker or order picker is defined as a person or a piece of equipment used to pick and deliver material needed for filling orders from storage.